This is Trouble. Biggest bull calf ever raised on the farm. 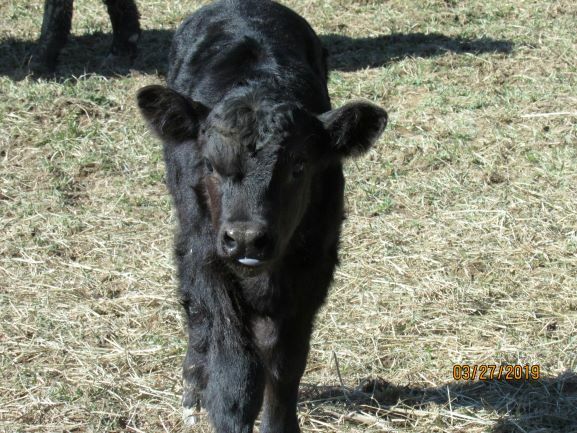 He was born to a black angus heifer which means it was her first ever calf. We don’t like for our heifers to have large calves but apparently she was fed well which helped him grow. The sire was a two year old Angus with small head and shoulders. Can’t imagine what he will look like fully grown or his son! !